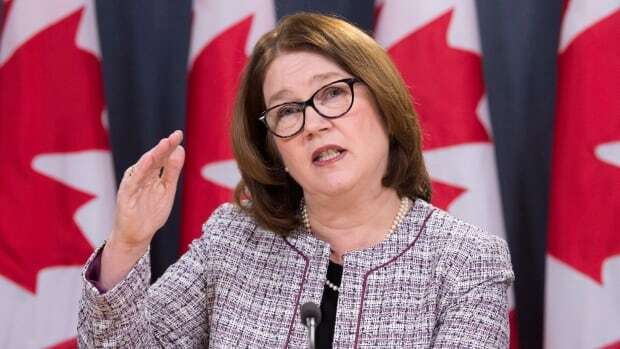 Indigenous Services Minister Jane Philpott vowed more money for First Nations child welfare in budget 2018. The federal budget provides new dollars for First Nations to move beyond the Indian Act while also continuing investments aimed at closing spending gaps in areas long seen as irritants in the relationship between Canada and Indigenous peoples. Under a chapter titled Reconciliation, the 2018 budget earmarks new funding for Indigenous child welfare, health care, water and housing, alongside new funding arrangements and cash for self-government and modern-day treaty negotiations. The budget builds on investments first announced in the 2016 budget for water, child welfare and housing. “As the prime minister has said many times, when it comes to renewing the relationship between Canada and Indigenous peoples, we have a responsibility to do better and to do more,” said Finance Minister Bill Morneau in his speech to the House of Commons. The 2018 federal budget sets aside about $4.1 billion in new spending for First Nation, Metis and Inuit peoples and communities. The additional funds will push proposed spending for First Nation child welfare services to about $1.1 billion a year over the next five years. The budget also provides about $101.5 million over the next five years for First Nations to create their own governance structures outside of Indian Act rules long criticized as restrictive and paternalistic. Prime Minister Justin Trudeau announced on Feb. 14 the government would introduce legislation to recognize Indigenous rights which, while enshrined in the Constitution, remain undefined in federal law. Once passed, the framework would allow First Nations to create new forms of government — allowing bands to join together or create their own styles of band administration. Currently, band governments are restricted by the Indian Act unless a community negotiates a self-government or modern-day treaty agreement with the Crown. The federal government also is planning to end its use of loan funding for First Nations negotiating modern treaties. The talks often generate substantial debts for First Nations, compelling them to borrow from Ottawa to pay negotiators. Ottawa will now provide such funding through non-repayable contribution agreements. The budget includes about $51.4 million for ongoing self-government negotiations. The Trudeau government has invested substantial political capital in its stated commitment to reworking Canada’s relationship with Indigenous peoples. However, the budget is silent on one of the biggest changes in the government’s handling of the Indigenous file. The budget document offers no dollar figure for the cost of dismantling the federal Indigenous Affairs department and replacing it with two new departments: Indigenous Services and Crown-Indigenous Relations. The budget also says nothing about when the government might introduce bills to give the two new departments a legislative framework. The federal government has faced one of its biggest challenges on the First Nations child welfare file. Indigenous children currently account for over half of all children under age 14 in foster care. In January 2016, the Canadian Human Rights Tribunal ruled Ottawa discriminated against First Nation children by underfunding child welfare services. The tribunal ordered Ottawa to increase funding and overhaul the system. The tribunal has repeatedly rapped Ottawa’s knuckles over the slow pace of its reform. The new funding announced in the 2018 budget brings total investment in Indigenous child welfare services — including base funding and dollars announced in 2016 — to about $6.67 billion over the next five years. For example, the budget allocates $295 million in new child welfare money for the 2018-2019 fiscal year. This comes on top of $126 million previously earmarked for the same fiscal year in the 2016 budget. When added to base funding, the total investment grows to $1.12 billion for First Nation child welfare in 2018-2019. The 2018 budget sets aside $270 million in new funding for First Nation child welfare in 2019-2020, $265 million in 2020-2021, $270 million in 2120-2220 and $278 million in 2022-2023. The Trudeau government is under pressure to fulfil a promise to end all water advisories in First Nations by 2021. The 2018 federal budget sets aside about $172.6 million in new funding for clean drinking water; most of the money is set to flow over the next two years. The bulk of this funding — $102 million — is slated for the 2018-2019 fiscal year, with $50 million earmarked for the following year. This comes in addition to $1.8 billion initially set aside in the 2016 budget for First Nations water infrastructure. According to the budget document, Ottawa already has invested in 349 water-related projects in 275 communities, and 52 long-term drinking water advisories have been lifted. Health indicators in Indigenous communities continue to lag substantially behind the rest of the country. The budget proposes $1.5 billion in new Indigenous health funding over five years. The funding sets aside $498 million over five years for nursing and critical care services in isolated First Nations communities, along with $200 million for “culturally appropriate” addiction services. The budget invests $109 million in new money over 10 years to battle tuberculosis in Inuit communities. The budget proposes a $490 million investment over two years in the First Nations and Inuit Non-Insured Health Benefits program, $235 million over five years for First Nations to develop their own health models and $82 million over 10 years for Inuit-focused health research. Health care support for Indian residential school survivors — part of Ottawa’s responsibility under the residential school settlement agreement — is slated to receive another $248.6 million investment over the next three years. On the housing front, the budget is adding $144 million over the coming five years to money already set aside for Indigenous housing, bringing the total to about $ 1.04 billion between 2018-2019 and 2022-2023. Of the total envelope of housing funding, $400 million is earmarked over the next 10 years for the Inuit regions of Nunavik, Nunatsiavut and Inuvialuit. The Metis National Council is also in line to receive about $500 million over 10 years for a Metis housing strategy.